At ADT, we’re always prepared for any challenge a new day brings. This is an exciting time to join our team! Find the career area that’s right for you to start making an impact on our customers’ lives. Connect with people and create security solutions for our valued customers as a member of our dedicated Sales team. Our Installation & Service team keep our customers safe by ensuring all systems are installed and running properly. When our customers need help, our Contact Center (Call Center) teams are there to handle alarm signals, technical support and more. A career with ADT Corporate connects you with all aspects of our business. Make a difference and help protect what matters most. 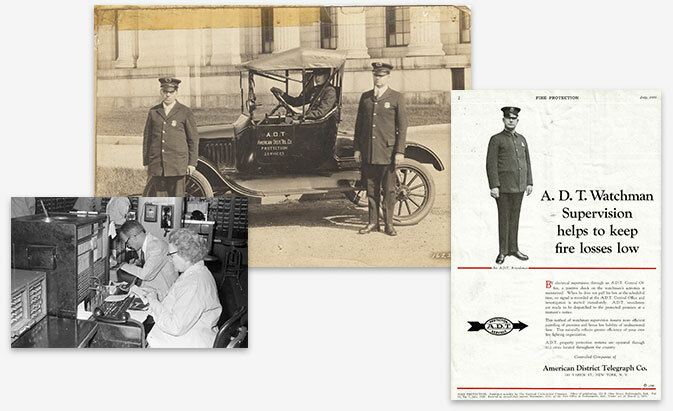 For more than a century, we’ve built a reputation as one of the most trusted names in security. It all starts with our employees. Everyday Heroes – who work to ensure our customers’ peace of mind. And that’s no small task. We’re trusted 24 hours, 365 days a year to protect the homes and businesses of more than 7+ million customers across the United States and Canada.